Cranberries have a special place in the hearts of many throughout North America. What would Thanksgiving, Christmas, or many other holidays be like with out the delectable cranberry? Cranberries have been around for ages and have been considered the best super food of our time. What does that mean? Super foods are foods that have high levels of antioxidants and nutrients. The cranberry actually has a high amount of phenols in them that are great for prevent strokes, heart disease, cancer, heart attacks, and many other diseases and disorders. Through the years, this berry has gained immense amounts of popularity. In fact, it is one of the most widely studied fruits in the world today. I hope after touring this webpage you will gain anpreciation and new knowledge for this little red berry! 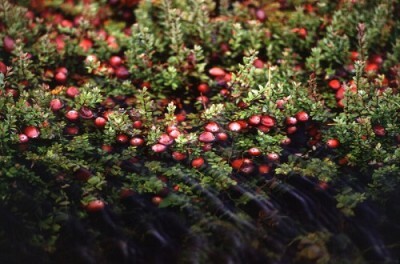 To learn the history of the cranberry, click here. Check out the Multiple Organisms Page to explore a multitude of other organisms!